Branding is complicated. Creating brand identity for an organization typically requires a great deal of research and discussion. Before pencil hits paper or a mouse is clicked, a thorough understanding of a clients needs and objectives is required. Beyond the internal perspective, their markets need to be reviewed and their customer response evaluated. In the case of Greystone Restoration & Construction, I could skip these steps. I am their customer. My neighbors are their customers. I have worked through several projects with them and know their work ethic and commitment to quality. 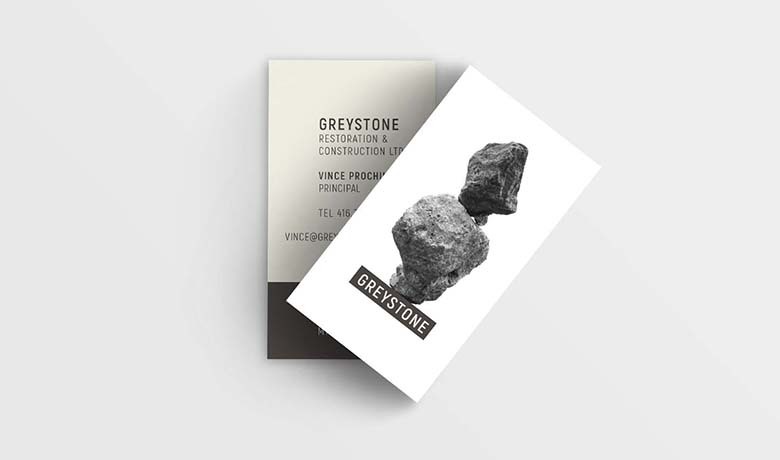 The name Greystone gave me an opportunity to explore branding beyond the typical house or tool logos used by most contractors. Branding doesn’t always need to be a symbol or wordmark. Sometimes a colour, style or consistency of imagery can define a brand’s identity. Ever seen an ad for the first time and know which brand it’s from before noting their name or logo? I run on the boardwalk in Toronto several times each week. Occasionally I come across a spot where rocks have been stacked and balanced in near impossible configurations. This was the inspiration for the Greystone branding. The rocks at the beach were stacked, often knocked down and restacked in new compositions. I photographed the new structures as they appeared for several weeks, looking for ones that expressed construction as a balance of form and aesthetic. The intent is to use several different ones over time. Successful branding is unique and memorable. I’ve written before about “the one with” factor. Greystone has that. 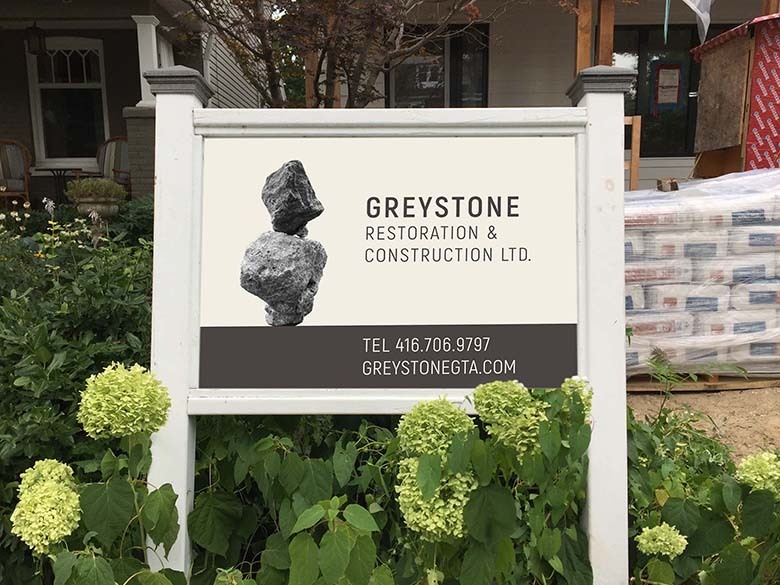 They are the one with the stacked rocks – on their signs, their business cards and on their website. They are different and that is demonstrated in their branding. Branding as the marketing strategy.